DENVER –The Colorado Classic today announced that its women’s race will expand from two to four stages in 2018, with routes similar to the men’s race, as organizers of the pro bike race continue their efforts to advance women’s cycling. The second annual Colorado Classic is a men’s and women’s stage race, Aug. 16-19, 2018 in Vail and Denver, and features some of the sport’s top teams and racers. RPM Events Group, organizers of the race, are committed to advancing women’s racing and empowering women through cycling by investing significant resources in expanding the race, routes, video and streaming recap coverage and fan engagement for women. Like the men’s race, the women’s race will be four stages, and begins in Vail on August 16 with a circuit through Vail Village and adjoining neighborhoods, followed on August 17 by a time trial up Vail Pass. When the Classic moves to Denver on August 18, the women will race a criterium, followed by a circuit race on Sunday through the RiNo Art District and downtown Denver, the same as the men’s race. In addition, all four days of the women’s race will be included in the event’s mobile app, with live data, team and rider information. The race will expand its video coverage for the women’s race, enabling fans all over the world to tune in for recaps of the action via streaming and the app. The women’s closing-day award ceremony, as well as individual stage award ceremonies, will be on the same stage as the men’s, showcasing the female athletes throughout the event. And there will be related amateur and citizen cycling events that help promote women’s cycling.  USA Cycling is including the women’s race in its Pro Road Tour (PRT), which showcases the premier domestic road calendar events in the U.S., including criteriums, road races, stage races and omniums. Because of the Colorado Classic’s commitment to women’s racing, a stellar international field is expected for the pro race with 13 of the world’s best women’s teams (including UCI, Domestic Elite and Colorado-based teams) bringing 78 professional riders, including Olympians, World Champions and past-winner Jennifer Valente. Working to put men and women on more equal ground builds on the history of Colorado bike races like the Red Zinger Bicycle Classic and the Coors International Bicycle Classic, both of which prominently featured women’s racing. In 2017, its inaugural year, the Colorado Classic had advanced women’s racing several ways. The routes of the two-stage race were similar to the men’s. It was the first major USA Cycling race to go without podium girls, opting instead to celebrate male and female “cycling legends,” including Carpenter Phinney and Armstrong. Since that time, the Tour de France and other major races have followed suit, and UCI, the sport’s governing body, has said it is revisiting its policy for upcoming events. And the race had assembled an all-female team of public address announcers for calling the race. Colorado Classic is Coming to Vail!